It's like the producers of Sarah Beeny's latest tv exploit, Double Your House For Half The Money, knew the middle class couple, Edward and Louise from Buckinghamshire, who over-burdened themselves with an ambitious redevelopment plan for their country cottage, might be a little bit alienating for some parts of the audience. It is, after all, quite hard to care about a couple who get so financially desperate they have to sell their Porsche to help fund the ever-increasing costs of their open-plan kitchen/diner space, complete with a 24 grand bespoke kitchen as its centre-piece. 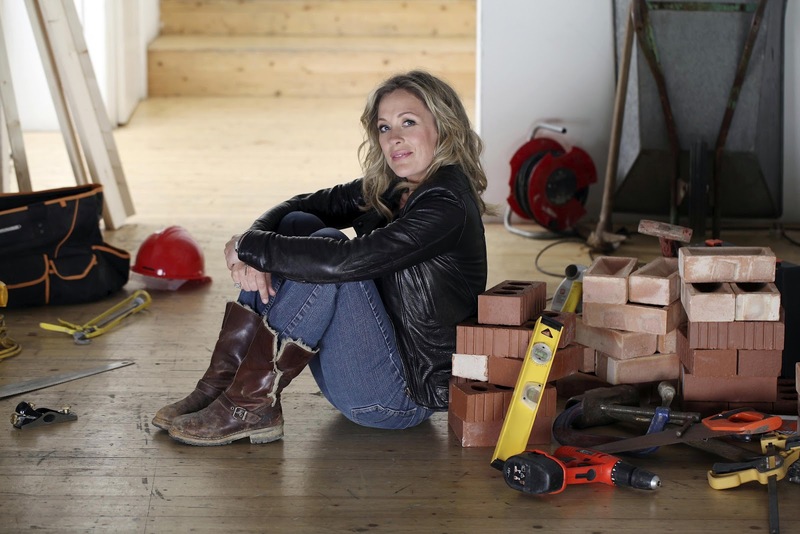 And, as impressive as the final results were, it was the episode's other tale, of a woman - Lindsey from Lincolnshire - who, since her husband's death a decade ago, had been plagued with an understandable fear of being ripped off by an unscrupulous builder, which was far more cockle-warming. But, enter the Beeny, and here sporting a range of smart jackets of varying funk, and now appearing more frequently than ever before either sitting on trains or in taxis - she's eco-aware everyone! And so, within minutes, the anxious lady appeared to be reassured enough to go ahead with the build, almost like she'd been prodded by a super keen tv producer eager to 'complete the story', and all just by the Beeny telling her: 'I don't know what you're worried about!' followed by the pair of them having a look around at a posh kitchen showroom for a bit. Never underestimate the power of the Beeny.